Through our variety of courses, delivery methods, and experienced staff, we are able to offer each and every student a comprehensive real estate education. What other schools will not tell you is that your license guarantees you nothing. In order to set yourself up for success and to truly understand everything it takes to navigate through the world of real estate, it’s important to have not only a technical education (your license) but also a business and financial education. It is with this comprehensive education that you will truly be prepared to represent buyers and sellers, negotiating best terms for your clients, and building your real estate business so you can spend more time working on growing your business than actually performing the day-to-day operational tasks. Why is TREBS Salado Different? Myka Allen-Johnson started her real estate career in Dallas, Texas almost two decades ago. Feeling that God truly led her to the field of Real Estate, she jumped in with both feet after ending her high school teaching and coaching career. With no paycheck on the horizon, she was determined to be a successful REALTOR®. In her first month, she quickly became the top office Listing Agent focusing on For Sale By Owners and getting her sign in their yards by going door to door. Many valuable lessons were learned in that first year as doors were slammed in her face but as the right doors were opened. One thing she realized that completely changed her outlook on Real Estate was that she received no training after she got her license and she had just changed professions and knew nothing except for the basics on the Real Estate Exam. She asked herself, “How do I get clients? What do I say when they call? How do I write a contract? How does a listing work? What am I allowed to do?” She immediately realized that training was completely lacking in her new real estate world. After racking up listing accolades as a brand new agent, Myka moved to the Austin, Texas area and became a New Home Sales Consultant with a Fortune 500 National Builder. There she won many sales awards and it wasn’t long before she was plucked from sales and asked to be a National Sales Trainer. She began traveling the nation helping to train their over 2000 agent strong sales force. She was groomed and trained by the best in the industry. She began writing her own sales guides and courses at this time that are currently Professional Development Courses at The Real Estate Business School of Salado. After a successful stint as National Sales Trainer, she was asked by a consulting firm out of Atlanta, Georgia, to come on board and consult and train with all types of sales teams across the nation. Using her background in training and her belief in a relationship selling approach, she helped companies from the east coast to the west coast hire, fire and train their sales team to make amazing quantifiable boosts in sales and build their bottom line while building the knowledge of their sales team. She continued to write courses and guides to selling. She went back to general real estate sales after the birth of her daughter, but had an idea brewing in her head about the company she wanted to build. She built and co-owned a brokerage based on sales training with a business partner whom she values to this day. She co-built a brokerage in Central Texas that quickly became the top producing non-national brand brokerage in the area. During this time, she wrote a real estate book that was published to much critical acclaim. After 5 years of success as a brokerage owner with a major focus on training their sales agents, she felt again that God was calling her to do something different. She sold her half of the company and began to write more courses and feel the creativity pour out of her. She contacted Wayne and Lynn Morgan, the owner of The Real Estate Business School of Austin and requested a meeting. What a fateful meeting! They met and spoke about a partnership and opening another Real Estate Business School, but this one in Salado, in her home town. Wayne, Lynn and Myka share the same vision of a Real Estate School. Learning doesn’t end when you get your license; it is a never ending process that places you at the forefront of the real estate game. After that meeting, the Morgan’s and Myka began forming the Salado Campus of The Real Estate Business School. Months later, Myka is now excited to have her own school training the courses that she has so passionately written and to also be partnered with such a prestigious name as The Real Estate Business School of Austin. This school epitomizes everything that is good and right about Real Estate education and truly what Myka has always believed since day one. Real Estate education is the key to a successful Real Estate career. If you are not learning, you are not moving forward in your career. Myka loves what she does. She loves every day that she gets to see REALTOR® faces in her classroom light up with confidence and leave with the real world knowledge that she was never given and had to find out the hard way. She loves seeing the success that each agent finds after taking her courses and loves the lifelong relationships and friendships she is building. Happiness is watching others succeed by applying their knowledge learned. Andrea Curtis is a successful Texas Broker/Realtor in the Fort Hood area and the Director of Military Properties for United Country Real Estate. She is also from Killeen, Texas. She has always loved real estate, when many kids were talking about being a nurse or doctor Andrea always said she wanted to be a Texas Realtor. She has been married for 35 years. Her and her husband have raised 3 sons, 2 graduated from Texas A&M and are Army Veterans and the baby is currently attending Sam Houston State University with a major in Criminal Justice. Andrea has lived in the Republic of Korea and all over Texas. When her husband decided to leave the Army she decided it was time to get her real estate license. She was only 21 years old and was ready to take on the real estate world! In 1999 she left real estate to work for Sprint (Embarq/Centurylink). She was a sales instructor for new products coming on the market. Andrea loved the interaction with the representatives and found that she had a knack and love for teaching. In 2009,after 10 years, she left and decided she needed to go back to her first passion, real estate. Andrea partnered up with her brother, also a Texas Realtor, and have been going strong ever since. In 2012 they made the HUGE decision to buy a franchise and United Country Premier Properties was born. In that time they have received numerous awards. In 2016 United Country asked if Andrea would become the Director of Military Properties…it added another layer of instruction that she loved! Betty has lived in Bell County over 25 years and Texas her entire life! She has been married to her husband Lynn for 25 years and they have raised their two children. Betty has been a business owner and in sales all of her life which helped equip her for real estate. 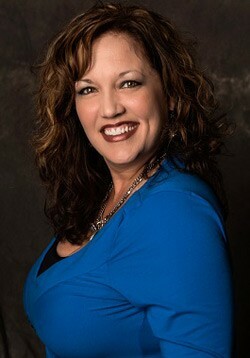 She has the latest up to date training in the real estate industry and knows the Central Texas housing market. She has knowledge of not only residential but also farm, ranch, commercial and land. 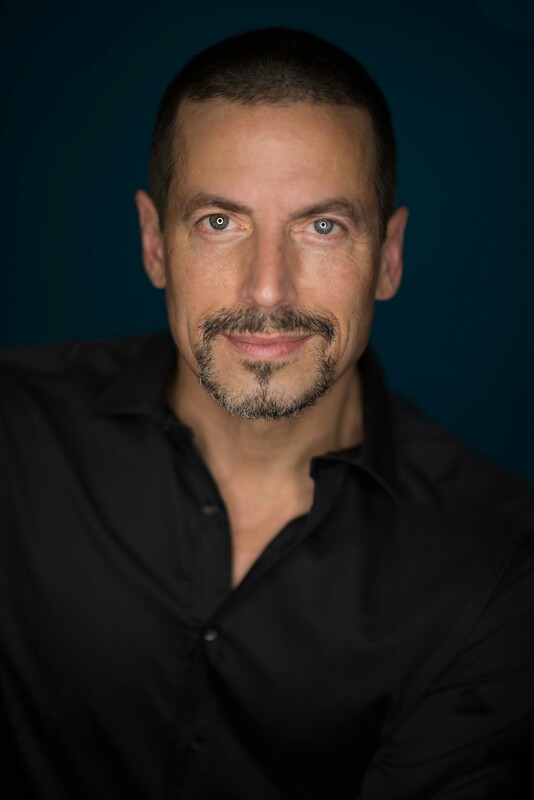 A California native, Michael E. Linnemann, the President/Broker of Linnemann Realty grew up moving every few years as a military brat until he found himself in the halls of Reagan High School in Austin in the early 80’s. Immediately following that, he attended the University of Texas at Austin and graduated in 1988 with a Bachelor Degree in Business Finance. He received his Realtor’s License in 1993 and his Broker’s License in 1998, having now worked in the real estate field here in Central Texas for over 25 years. His experience in real estate goes well beyond listings, sales, investment, and property management. In 1998, Michael started his construction company and ventured into residential development and home building. Since that time he has run countless successful construction projects from custom homes and multi-family dwellings to commercial building and remodeling projects, massive residential rehabs, and raw land development. He has served as the President of the Fort Hood Area Association of Realtors and the Central Texas Homebuilder’s Association. He currently sits on the Board of Directors for the Greater Killeen Chamber of Commerce and is their incoming Vice-Chair. Within these organizations he has served on numerous committees and worked tirelessly in service to his industry and his community. When it comes to his work history within the Central Texas real estate market, there is no stone left unturned. Michael lives in Belton with his wife Priscilla, son Gabriel, and daughter Ava Jane. When he’s not working he loves to cook and host, read books about everything from history to astrophysics, keep fit with regular exercise, and when the time allows he plays a great lead guitar. Martha is an active REALTOR® with RE/MAX First Choice in Killeen TX specializing in Residential, Multi-family, Commercial & Investment Real Estate. Her education includes a Bachelor of Science in Business Management. During her 14 years in real estate Martha earned the following designations: Accredited Buyer Representative and Military Residential Specialist; her awards include: 2005 Rookie of the Year, 2007 & 2008 Listing Agent of the Year and 2016 & 2017 RE/MAX 100% Percent Club; She has also served as Vice Chair for the Women’s Council of REALTORS® Central Texas 2016-2017, President of the Women’s Council of REALTORS® Central Texas 2018 & currently as the Women’s Council of REALTORS® Texas District Vice President. As a United States Army VET. Martha has a military network to work the FT Hood area. Understanding what it’s like to stand in her clients’ shoes (or “boots”) and relocating several times in her military career, while buying and selling real estate of her own, has afforded Martha with a particular sensitivity towards her fellow military families’ needs. Being of Hispanic background Martha is ﬂuent in Spanish and English and can relate to the diverse needs of families in the community that she so loves. Martha tells her clients, whether buying here in Texas or anywhere in the world, that she can help them realize the American Dream of Home Ownership! !